The Gloster Gladiator was privately developed by the company to meet an RAF specification for a 250mph fighter. 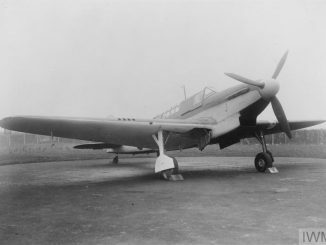 It was derived from the Gloster Gauntlet biplane which preceded the Gladiator as the RAF’s frontline fighter. 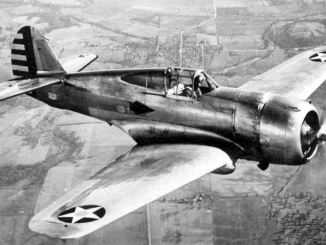 The new fighter had redesigned, more streamlined wings and an enclosed cockpit. It was fitted with a more powerful Bristol Mercury engine and a heavy armament for the day of 4 rifle-caliber machine guns. 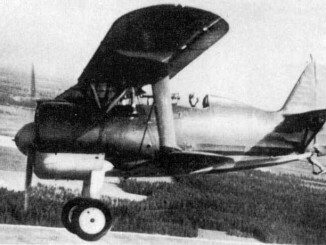 After suffering heavy losses to its fighter force during the battles around Shanghai and Nanking, in October 1937 the Chinese Air Force ordered 36 Gladiator Mk Is. They were to be shipped to Hong Kong, and then transferred by barge to Canton for final assembly. There they were assigned to the 28th and 29th Pursuit Squadrons. The Chinese Gladiators first saw service in February 1938, as the Japanese began to push deep into China after securing Nanking. 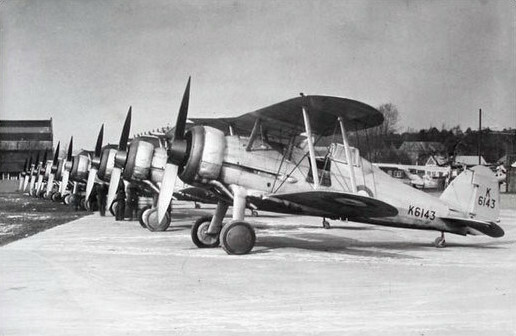 The Gladiators enjoyed some success against the Japanese A5M fighters, but as the air war intensified the biplanes continued to suffer losses. Fighting in southern China, around Canton, also saw several of the Gladiators destroyed as the Japanese strengthened their hold on Chinese coastal cities. By the end of 1938, as the Chinese Air Force withdrew to Chungking, most of the Gladiators had been destroyed or were otherwise no longer airworthy.